According to the EPA, the air inside a home is, on average, two-to-five-times more polluted than the air outside. Paint is a large contributing factor to poor indoor air quality and can emit harmful chemicals, such as VOCs, for years after application. New environmental regulations, and consumer demand, have led to the development of zero-VOC paints and finishes. 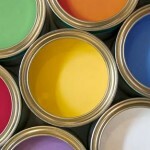 Most paint manufacturers now produce one or more non-VOC variety of paint. These new paints are durable, cost-effective and less harmful to human and environmental health. Health. Reduced toxins benefit everyone, including those with allergies and chemical sensitivities. Environment. Reduces landfill, groundwater and ozone depleting contaminants. Not Deemed Hazardous Waste. Cleanup and disposal greatly simplified.